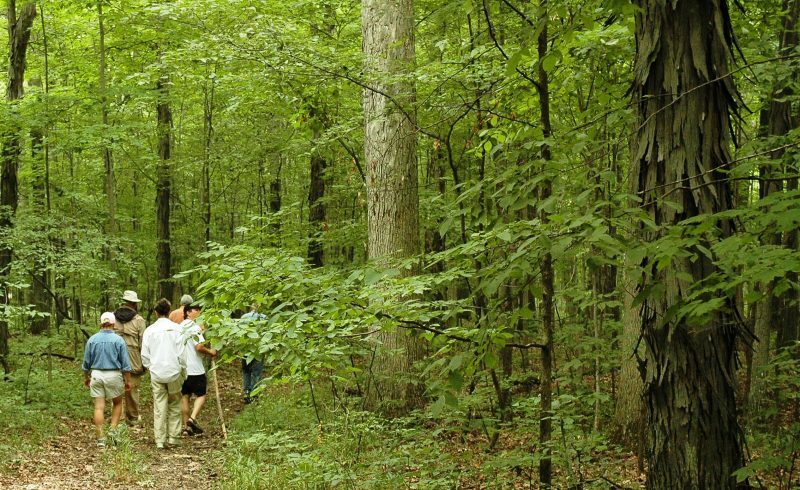 CRES Land Trust docent volunteers will lead five hikes through two very different Allen County preserves in celebration of the 23rd National Trails Day of the American Hiking Society. Explorers of all ages are invited to embark on the free adventures on Saturday, June 6 in Bicentennial Woods and Blue Cast Springs. 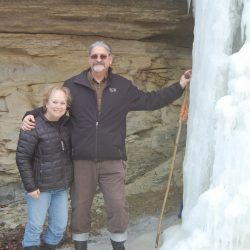 “Our ACRES volunteers have selected two sites to give hikers a sample of the more than 70 miles of trails open on nature preserves from sunrise to sunset at no charge – every day of the week,” said Jason Kissel, executive director of Indiana’s oldest and largest local land trust. ACRES protects 5,717 acres of natural areas across 32 counties in northeast Indiana, southeast Michigan and northwest Ohio – offering strollers and serious trekkers of all ages lots of opportunities for healthy exercise and discovery of the area’s natural wonders. “ACRES trails are wild and diverse, offering different hikes for different interests and wellness needs and a completely commercial-free immersion into nature,” said Kissel. Blue Cast Springs, 2 miles north of Woodburn off old U.S 24, is an easy, flat walk in the woods with spectacular vistas from the bluffs of the Maumee River. Hikers along the 1.1-mile trail will explore ravines that wind through the upland forest, feeding the river. This area once was the site of a natural spring thought to have healthful properties. The three docent-led hikes begin at 10, 10:45 and 11:30 a.m. The address is 21412 Bluecast Road, Woodburn, Ind. Bicentennial Woods, 5 miles north of Fort Wayne off Coldwater Road, is a hilly, robust hike along Willow Creek. Docents will guide visitors along a portion of the 2.6 miles of trails above ravines carved by glaciers and covered with towering oak trees, some more than 200 years old, and across bridges above Willow Creek. The two docent-led hikes begin at 10 a.m. and 1 p.m. The address is 340 E. Shoaff Road, Huntertown, Ind. No registration is necessary. Participants will want to dress appropriately for a hike in the woods; tennis shoes are just fine. Hats are recommended. The colorful, 150-page ACRES Preserve Guide with trails ($13) and membership materials will be available from volunteers at the two preserves on National Trails Day and always are available online at www.acreslandtrust.org. National Trails Day challenges people to explore nearby trails, engage in outdoor recreation and learn about the volunteer efforts of trail organizations such as ACRES Land Trust. To learn more about National Trails Day, visit www.nationaltrailsday.org. Thanks for noticing, Dave. The date is correct. This event was held in 2016. As we add new events and content it will get pushed down as historic information. Thank you!